Five hundred years ago, the Spanish explorer, Juan Ponce de Leon became fascinated with sailing, by dint of the circumnavigating exploits of Christopher Columbus. While Ponce de Leon established himself as an adroit farmer and landowner in the New World, he is perhaps most ubiquitously known for his quest to discover the mystical ‘Fountain of Youth’. The Fountain was believed to impart vigor and longevity to anyone who imbibed from its crystal-clear waters. In fact, the rejuvenative powers of undiscovered bodies of water date back at least an extra two millennia when Alexander the Great went in search of the mystical ‘River of Death’. Yet pragmatically, (and luckily) the search for health and longevity has become an investigation into how treating our bodies, and social constructs, can produce almost magical outcomes. Researchers from the University of California, Riverside, followed subjects for 20 years to examine life choices that influence longevity. One of the most significant findings was that individuals who avoid stress and work tend to live shorter lives. Being productive and dealing with stress directly and determinately is the best method to increase self-worth and efficacy. The best method to support these endeavors and a continual state of human production is to remain properly hydrated. Chronic dehydration, at levels of just 1% (think four glasses behind where you should be) can lessen our abilities to perform well cognitively and socially. This could translate to lower scores on tests and performance in the workplace or in a decline in creative pursuits, or in our ability to regulate mood, memory and relationships. In addition to these task-oriented and socio-cognitive aspects regarding hydration, there are certain physiological conditions that require constant thoughtfulness. Hydrated muscles perform more work, in a shorter amount of time, in a wider variety of settings, and among a broader set of tasks. Similar to muscles, bowels must remain properly hydrated to perform their tasks i.e., sustaining the multifarious microbiome that helps us to process foods, eliminate wastes, and protect against exogenous threats. In fact, all body systems require proper hydration to ensure their functions are performed in a manner (and rate) that is conducive to health and resistant to disease. If aging can be conceptually distilled into how well we replicate endogenous proteins, free from the ravages of free-radical damage and replication errors (not in whole anyway), then on some level, providing the aqueous medium sufficient to maintain a healthy and organized system is our responsibility alone. Aging is usually represented by a curvilinear (bent line) continuum wherein the relatively healthy years (represented by the straight segment) starts to curve upward around age 50 and rises precipitously thereafter. This line, and the point where life curves into declining health, is not intrinsically predetermined; rather, it relies tremendously on individual effort or lack thereof. It is possible, via concerted individual and community efforts, to remove the curve from the line and live life straight on. To do so requires vigilance and a mindful approach to healthful pursuits, primary among them being hydration. 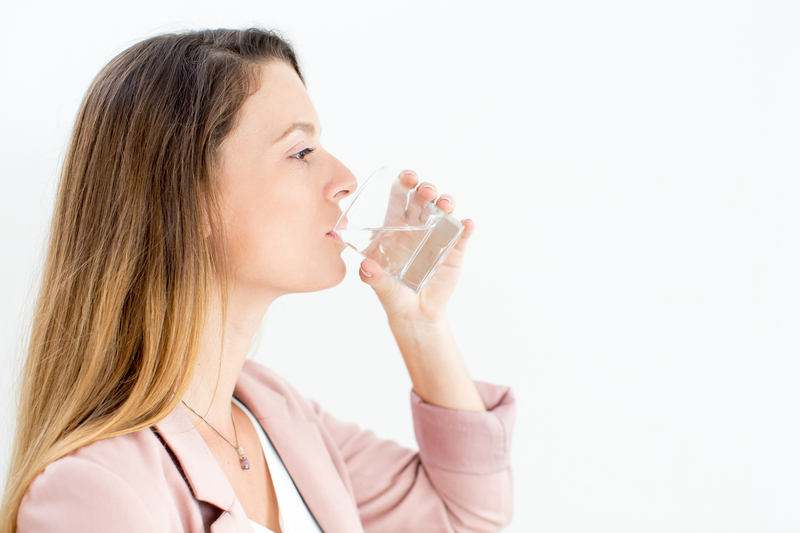 To this end, it is imperative to drink pure water daily and include high-water-containing fruits and vegetables, and may even be necessary to avoid caffeinated and carbonated drinks in the pursuit of metabolically-advantageous hydration levels. Finally, in place of looking for bodies of water, and their illusory promise of longevity, we should look at the water in our own bodies, and their demonstrated effects on quality and quantity of life.